Radiation safety is an important focus for advocacy in the MRT professions. The CAMRT works within and supports several efforts that advance radiation safety and protection in Canada and abroad. The Canadian Association of Medical Radiation Technologists (CAMRT) supports the Bonn Call for Action published by the International Atomic Energy Agency (IAEA) and co-sponsored by the World Health Organisation (WHO). The Bonn Call-for-Action highlights ten actions to meet these aims and strengthen radiation protection in medicine over the next decade. 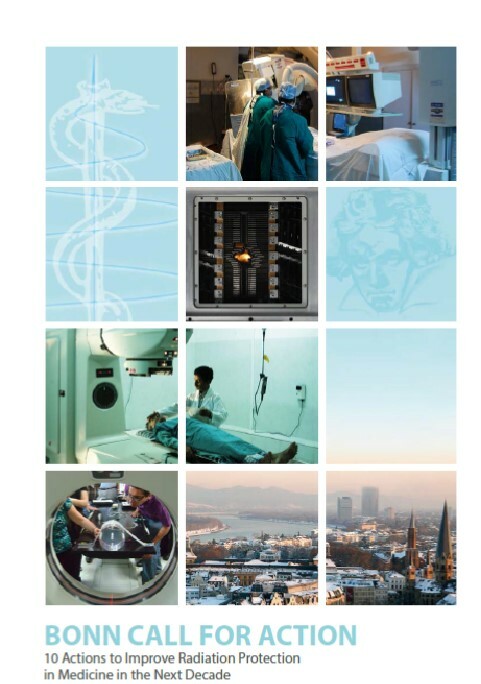 The International Atomic Energy Agency (IAEA) held the “International Conference on Radiation Protection in Medicine: Setting the Scene for the Next Decade” in Bonn, Germany, in December 2012, with the specific purpose of identifying and addressing issues arising in radiation protection in medicine. The conference was co-sponsored by the World Health Organization (WHO), hosted by the Government of Germany through the Federal Ministry for the Environment, Nature Conservation and Nuclear Safety, and attended by 536 participants and observers from 77 countries and 16 organizations. Medical imaging technologies and techniques continue to evolve rapidly and while providing unprecedented visibility into the body, their use mean exposure of patients to ionizing radiation. This is an area requiring attention in Canada. To address the need for a national strategy and action plan relating to radiation safety for medical imaging care in Canada, a coalition of key stakeholders is being formed, called Canada Safe Imaging. Canada Safe Imaging will be formally launched in the months ahead with invitations to participate to include agencies, professional associations, universities, colleges, national research institutions and hospitals. One impetus for this new Canadian initiative was to align with the International Atomic Energy Agency (IAEA) and the World Health Organization (WHO) initiative, supported by 77 countries and 16 organizations, titled the Bonn Call-for-Action, which outlines 10 major strategies for promoting radiation protection. The delivery of health care is a provincial responsibility but a focused national strategy and a unified effort is needed to ensure radiation safety in medical imaging for all Canadians. Canada Safe Imaging will develop awareness and adoption of current and emerging radiation patient protection strategies for Canadians and, amongst other activities, promote needed research. The Canadian Association of Medical Radiation Technologists (CAMRT) is one of a number of like-minded organizations contributing to the development of Canada Safe Imaging, and is pleased to be joining in this important patient safety initiative. Look for more information on Canada Safe Imaging coming your way in the months ahead. EuroSafe Imaging: This initiative has its own call for action, devised to support the implementation of the Bonn Call for Action, issued in 2012 by the International Atomic Energy Agency (IAEA) and the World Health Organisation (WHO).